He combines these skills to focus on bird-in-flight photography; where he has excelled to the point of being awarded an unprecedented 8 awards in the FujiFilm-Getaway Photo Competition in just one year. His highest accolade arrived in 2013 when he was winner of the BBC Wildlife Photographer of the Year in the Bird Behaviour category, which undoubtedly proved that he's one of the world's best wildlife photographers. 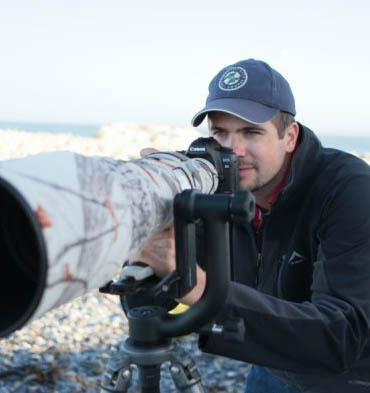 Today, Isak is a sought-after specialist wildlife photographic guide and full-time professional wildlife photographer. His passion for nature is fuelled by the reminiscence of a classic Africa and his aim is to create conservation awareness for his continent's natural wonders. His discovery of nature's special moments at a young age shaped his aspirations of today: to showcase the beauty of his continent's pristine wonders in a creative way. He believes that this is the best way to protect Africa’s natural heritage. "We protect what we care about, so my objective is to get enough people to care about African wildlife by showing them how beautiful nature is." What sets Isak apart as a specialist wildlife photographic guide is his ability to get clients to take their own top photographs. If you want to improve your bird photography, Isak will guide you from approaching your subject all the way through to managing your files and editing them to produce the highest quality image possible. Isak's simple and structured approach when tutoring clients enables immediate understanding of techniques and concepts. Other than birds, Isak has excellent knowledge of mammals and has photographed extensively across the continent on photo workshops and tours. Isak is very involved in presenting photo workshops and leading photo safaris for C4 Photo Safaris. He has taken a keen interest in educating photographers about their surroundings as well as teaching them the art of photography. He uses his knowledge of post-processing and cataloguing techniques to clearly show you how to get the best out of your RAW image. His teaching manner is so well regarded that he has been flown across the continent to present post-processing talks and workshops. Equipment Canon 1Dx with a Canon 600mmf/4 and Nikon D4 with Nikon 200-400f/4 as the workhorse lenses, and additional Canon and Nikon equipment.